The waters off the coast of Greece are an archaeologist’s dream—a wreck here, an amphora there. 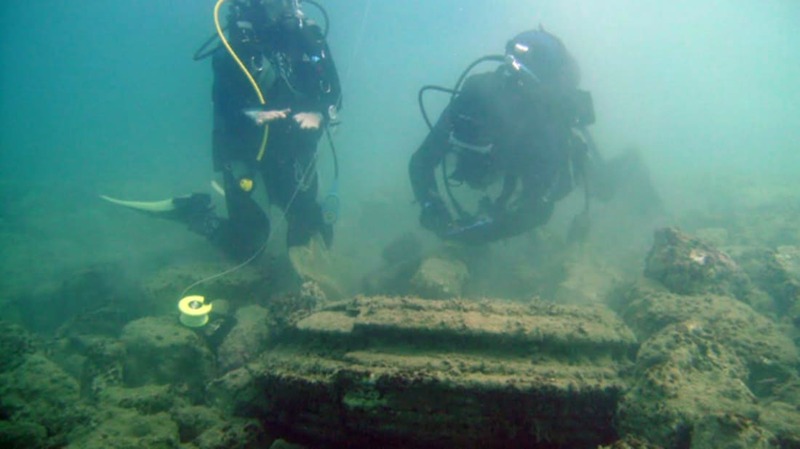 So when a diver in the Ionian Sea said he’d found the remains of a lost city, there wasn’t much reason to doubt him. Yet a new study concludes that the sunken city’s tidy columns, platforms, and paving stone-like slabs are all products of a natural phenomenon. The report was published in the journal Marine and Petroleum Geology. Shortly after the site’s discovery in 2013, Greek officials sent divers down to check it out. They reported that the city had a visible courtyard attached to what may have been a large public building, which indicated a wealthy community. Yet aside from the city itself, these theoretical rich people had left no trace that they ever existed. The symmetrical stone circles, columns, and slabs drew the attention of geologists, who suspected the city might not have been a city at all. They took another look at the site, collected samples from the stones, and brought them back to the lab for analysis. Through a combination of high-powered microscopes and molecular analysis, the researchers learned that the city’s columns and paving stones were, in fact, the products of a weird geological phenomenon. Lead author Julian Andrews is an environmental scientist at the UK’s University of East Anglia. He and his co-authors believe the formations were caused by interactions between minerals, gases, and microbes on the sea floor. That escaping methane was used as fuel by microbes living in the sea bed. The activity of the microbes then changed the chemical content of the surrounding sediment, churning it into a kind of natural stone cement. But not everyone is so pleased. Diver Pavlos Voutos, who discovered the site, insisted in a 2013 editorial that the city was, in fact, a city, and that any claims to the contrary were a government conspiracy. In an email to mental_floss, Andrews said his team's research spoke for itself: "All the data we collected are consistent with a geological origin as outlined in our work."